I need to put a new book on your radar – 50 Things To Do Before You Deliver by Jill Krause. Listen, I’m a list maker. Let’s start this post with that little tidbit of information because I need to set this whole thing up just right. Everything I do requires me to make a list. From buying a new house to figuring out what I plan to make for dinner. List. List. List. Task-oriented and goal-driven! I need to smash through my to-dos like a rock star DAILY. Rock stars have to-dos, right? Anyway, when I picked up 50 Things To Do Before You Deliver, I thought that it was the perfect book for expecting moms and for people who are just like me. Someone who is looking for actionable items that will truly help you prepare for your upcoming arrival. 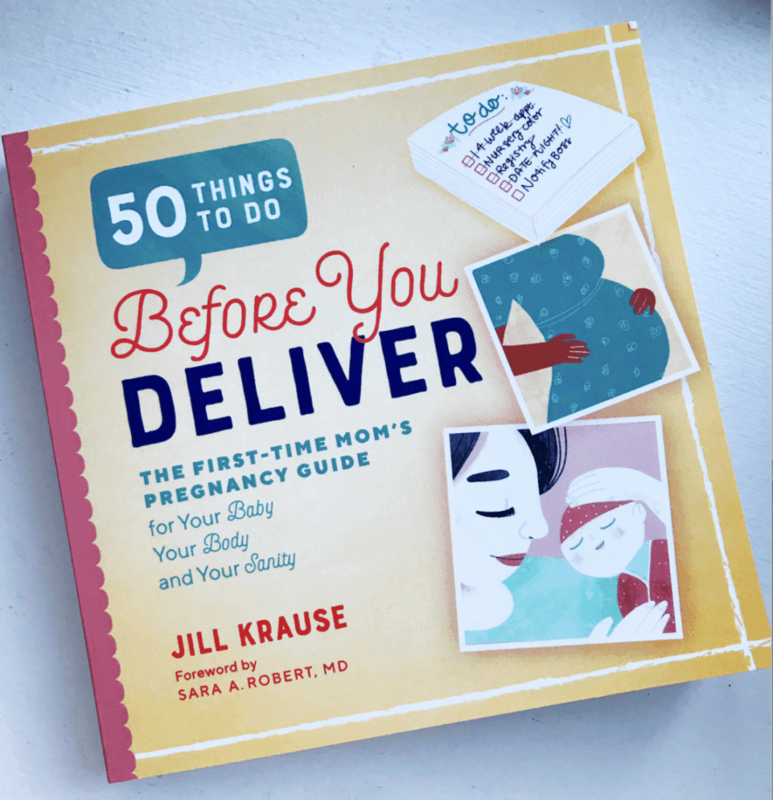 50 Things To Do Before You Deliver, written by Jill Krause, is a book that outlines the top things a new mom has to do in order to prepare to meet her new bundle of joy. As a mom of three, I looked back on this book and smiled because everything that was listed made sense for me. Even the chronological order that the tips were placed in – the flow truly worked. I remember getting pregnant in 2004 and not knowing where to start. The Internet certainly wasn’t what it is today. So, all I could do back then was search ugly forums and attempt to get some sound advice from my grandmother (who pretty much had children while she was walking). I was the first amongst my friends to get married AND have a baby. With no one to turn to… I turned to books. But the books were so longwinded and complicated. I didn’t care about what fruit size my baby was. I wanted to know how to prepare to meet my pina colada! Moms these days are luckier in this department – that’s for sure. When I was pregnant with my first child, we had to walk to the hospital in four feet of snow, up a hill, in the dark. Much scarier times. Be sure to pick to up your copy of 50 Things To Do Before You Deliver today. You NEED this book. Setting up a notification system – text chains/group chats etc. THIS IS SO SMART!!!! Again, I don’t want to tell you too much about what these pages have to offer, but these four bullets alone are literal life-savers. You don’t know it now because you haven’t crossed over the finish line. But these are things that I wish I knew before starting my journey. I have about 25 more to share, but that wouldn’t be fair to anyone. You need to read the details of each of these sections. They make so much sense after doing so. Really great information here, ladies! And congrats to Jill Krause! You always continue to inspire me. Honored to know you. Previous Post: « Why Do Boys Wear Shorts In The Winter?